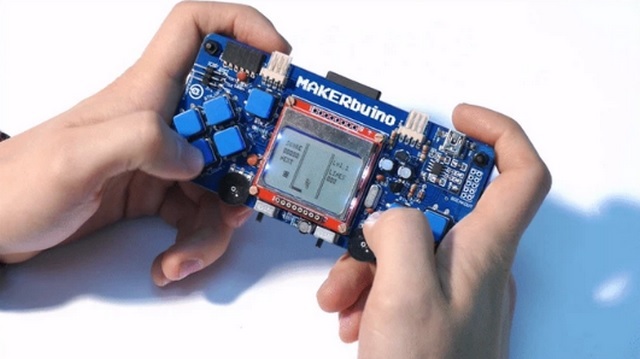 Kickstarter is a treasure trove of innovative gadgets, and the latest gem to come out of the platform is MAKERbuino, a DIY game console that will let you enjoy retro 8-bit titles you no longer get to play on a smartphone, PC or console. It’s not just the games that are a USP of MAKERbuino, but the console itself, which offers endless customization options on the fronts of hardware as well as software. Before I spill any more random details, let’s do a quick rundown of what MAKERbuino brings to the table. 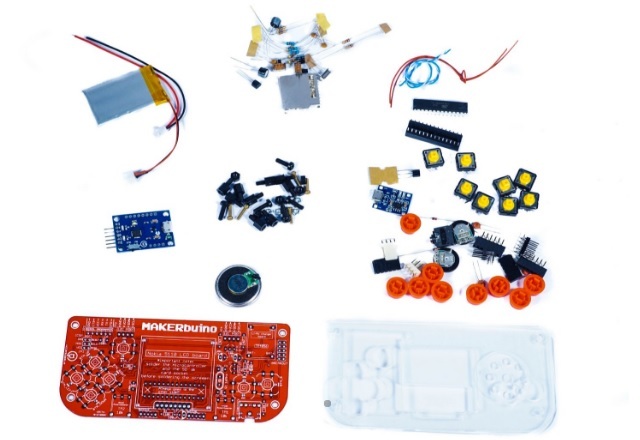 MAKERbuino’s hardware package consists of a printed circuit board, an acrylic casing, connectors, sockets, a tiny display and a few other core electronic components that go into making the console. Users have to assemble their console from scratch by soldering the circuit components and encasing them in a wide array of colorful kits. But there are a few other factors that help the DIY console truly stand out, and might even surprise you. Take for example multiplayer support. Yes, MAKERbuino supports multiplayer gaming, and does that in a retro style by connecting two consoles via a retro cable. Actually, you can connect more than two consoles, 128 theoretically, and create a massive multiplayer contest. 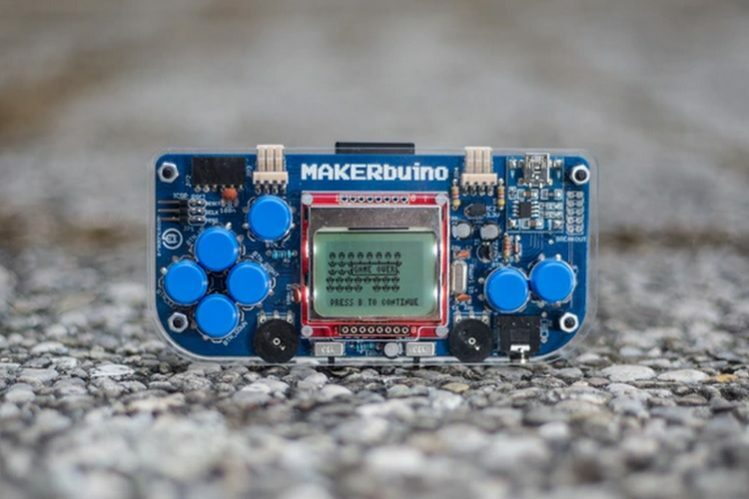 MAKERbuino is a gaming device at its heart, and will give users the rewarding experience of mashing the buttons of a console they’ve built on their own. You get classic titles like Pong, Tetris, Pac-Man, and Space Invaders to kill some time. And of course, the unmistakable retro appeal is a bonus point. But there is more to the console than meets the eye. You can add modules like an accelerometer, gyroscope, etc. and can also program new games if you know your way around some coding. Following the success of its Kickstarter funding campaign, the MAKERbuino console is now available on its official website in various bundles starting at $56.84 for the MAKERbuino standard kit.